Sydney Wood dribbles the basketball. The freshman guard had eight points against UT-Martin. Before the season, Northwestern’s non-conference schedule looked daunting. The Wildcats had plenty of tough matchups awaiting them and coach Joe McKeown said it was going to be important to use the time to get them ready for Big Ten opponents and get better. So far, NU (5-0) has not just been getting better — the Cats have been playing winning games. NU’s five wins to start the season have placed them on the precipice of breaking into the AP Top 25. The Cats have another chance to improve their resume with a matchup with Pittsburgh at Welsh-Ryan Arena on Thursday for the ACC/Big Ten Challenge. Despite the strong start, NU has been dealing with injuries. Freshman guard Lauryn Satterwhite has yet to play this season; freshman guard Veronica Burton has not played since Nov. 11 after starting the first two games of the year; freshman guard Sydney Wood returned from a two-week absence against UT-Martin; and junior forward Abi Scheid is out for an unknown length of time with an undisclosed injury. But the Cats’ role players and bench — both weakness of the 2017-18 season — has risen to the occasion and become crucial to the team’s success. Junior guard Byrdy Galernik and junior forward Bryana Hopkins have both filled in the vacancies in the starting lineups with aplomb. Against the Skyhawks full-court press defense, both players dribbled with confidence and followed McKeown’s plan of attacking the press. 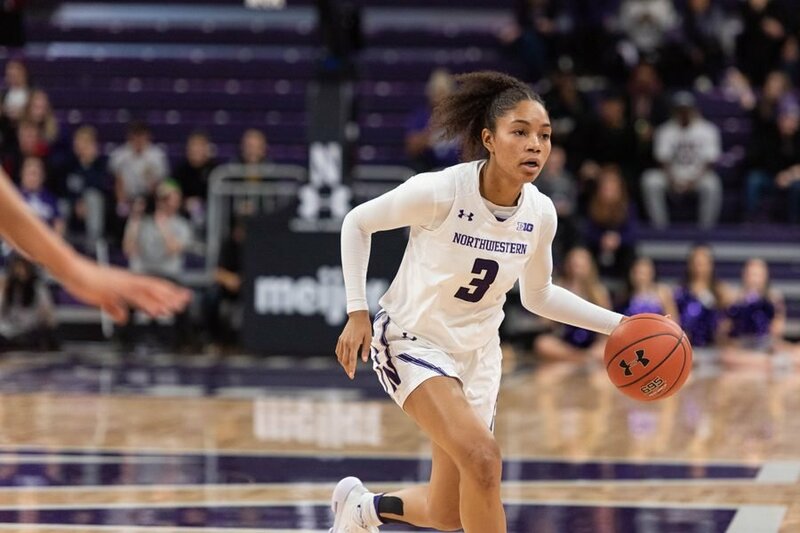 Off the bench, junior guard Amber Jamison has returned from a year-off with her trademark energy and hustle and junior center Abbie Wolf has done a solid job as Kunaiyi-Akpanah’s backup. And most recently, freshman Jess Sancataldo exploded off the bench for 20 points in 13 minutes. Something they have struggled in is shooting from distance, but coach Joe McKeown said the team is not going to be based around the three-point shot. While the Cats have been flying smoothly ever since the first tip of the season, the Panthers have had some turbulence to start their season. Pitt started the season with a 61-58 loss at home to Central Florida but followed it up with a 90-38 thrashing of New Orleans. Since then, the Panthers lost to Georgetown and Wisconsin — who NU beat twice last season — by a combined 44 points but also beat Arkansas on a neutral site. At the helm of the program is first-year coach Lance White. White took over the job after 15 seasons as an assistant coach in Tallahassee, earning Women’s Basketball Coaches Association National Assistant Coach of the Year in 2016. Guard Cassidy Walsh is the only player on the squad to have played and started all eight games. The senior averaged 11 points a game, but is only shooting 41.8 percent from the field. Aysia Bugg is the team’s leading scorer at 14 points per game, but she has not played in the last three games. Pitt has played only one game on the road — a 70-49 loss to the Hoyas in Washington D.C. — while the Cats have played three games at home and have won all three by at least 26 points.